You just created a video and you’re ready to share it on your website. So you create a new post in your WordPress dashboard and upload your video to the Media Library. That’s when it starts to go wrong. That’s odd. It worked for you earlier. You visit your site to pull up the video for yourself. This time, the page takes forever to load. Why is your site suddenly so slow? You’ve watched videos on other web sites and never encountered these issues. What’s happening? Why can’t you host your own videos? Just because you can upload a video to your WordPress site doesn’t mean you should. Here’s why. Before we dive into the technical reasons you should never host your own videos, let me take a second to explain the difference between embedding video, as opposed to uploading it to your WordPress server. Embedding a video is essentially a two-step process. First, you upload your video file to a third-party video hosting service like YouTube, Vimeo, or Wistia. Then, you copy a small bit of code that they furnish to you, and paste it into your post or page on your own WordPress site. The video will appear on your site, in the location where you pasted the embed code, but the video itself is being streamed from the video host’s servers, as opposed to your own web server, where your WordPress site is hosted. Self-hosting means that you upload the video file to your site, using the built-in file uploader in WordPress, the same way you might upload a photo or image to your site. With that as background, here are ten reasons you should never upload video files to your own web server — particularly if your site is hosted on a shared server. Video files can be quite large in size. Unlike images—which are typically measured in kilobytes—an HD video file can easily weigh in at more than 100 MB. Now, imagine what will happen to your shared hosting server when dozens of folks attempt to watch the same video at the same time. Your web hosting provider allocates a certain amount of bandwidth and other resources for each server on their network, based on average traffic rates that do not include serving large media files to hundreds of individuals (or more) at the same time. Too many requests for a single large file will quickly exceed the limits of the web server on which your site is hosted, and bring your site—and any other sites that also “live” on the same server—to its knees. If you’re able to upload large video files to your server on a frequent basis, you could eventually exceed the amount of storage space provided by your hosting account, especially if you regularly back up your site. In addition to the amount of disk space your video files will occupy, backups will begin to take significantly longer to execute. More data requires more disk space, and takes more time to backup. If your video file resides on a single server with a limited amount of bandwidth, folks who attempt to watch your video may experience unexpected pauses during playback while their computer waits for the file to download or stream to their computer. This problem is compounded by a slow Internet connection. Even when I hosted my videos on Amazon’s S3 content distribution network (CDN), many people still complained about slow-loading videos. Now you’ve got three different video files to upload, each one potentially hundreds of megabytes in size. 5.Hope you like converting videos. A lot. Most of your audience will likely watch your videos from their desktop or laptop with the benefit of a high-speed Internet connection. For those folks, you’ll want to deliver a large, HD-quality file so they can watch it full-screen if they so choose. Generally, this means a 1080p or 720p file at a high streaming bitrate (5000 – 8000 kbps). But you’ll also want to encode a smaller, lower-resolution version for delivery to mobile devices like phones and tablets, as well as delivery to viewers with slower Internet connections. A video player is a small piece of web software you install on your site that will automatically detect which device is requesting your video, along with its connection speed, and then deliver the appropriate version to that person. So now you’ve correctly assembled your shortcode, uploaded all the video files to your server, and you’ve installed a video player to handle all the “behind the scenes” detection and such. So after all this, why does your video look so much better in some browsers/devices than others? Remember earlier, when I said you’ll need to convert your videos into nearly half a dozen different formats and sizes? You’ll need a software app to handle this file conversion for you. There are hundreds of video conversion applications out there, and you may find that you need more than one to handle conversion into all the various format. Unfortunately, every app handles the conversion process in a slightly different way, resulting in varying quality in your video files. Your video may look great as an MP4, but when you view the OGG file in Firefox, your video looks grainy or bitmapped. Further complicating this issue, each web browser also handles playback differently, which means the exact same video file will look great in one browser, but horrible in another. I spent countless hours experimenting with the settings in my conversion software, but I never got this dialed in 100%. YouTube is the most popular video hosting platform in the world. More importantly, they’re also one of the first places many folks turn when they’re searching for a topic. When you host your video on a third-party site like YouTube or Vimeo, you also benefit from their popularity, and folks could find your video—and subsequently, your own site—who otherwise wouldn’t have known your site existed. Plus, the social sharing features on those services encourage other folks to share your video with their friends and family, increasing your reach. If you’re running a membership site with protected video content (like this site), you’ll want to ensure your video files can’t be downloaded by some nefarious individual and then redistributed illegally on file sharing sites. I discovered this vulnerability the hard way, and spent the better part of a year sending DMCA takedown notices to file sharing sites, over and over again. Because the video paths are easily exposed in the source code, anyone can simply copy the URLs, then download the videos to their own computer and redistribute at will. I found a script that obfuscated the video paths, but it wasn’t updated often, and eventually stopped working with my video player. Simply upload your video to a video hosting service, then embed your video into your WordPress post or page. Step One: Upload your video to a popular, well-established video hosting service like Vimeo. Step Two: Once your video has been uploaded, copy the URL to your video. Return to your WordPress site and paste the URL into your post or page where you want the video to appear. When people view your page, the video will appear in the location where you pasted the URL. But the video file itself will be streamed from the video host’s servers, as opposed to your own server, where your WordPress site is hosted. The embedded video player will automatically detect the user’s device, browser, and Internet connection speed, and then serve the appropriate version of the video file to them. Nothing to install on your site. No plugins to keep up to date. No tricky code. Video hosts also employ massive networks of redundant web servers all around the world. When you upload a video, it is automatically replicated on every server on their content delivery network (CDN), which means when a visitor to your site requests a video, it will be served from the node that is nearest to their location, ensuring smooth playback and an enjoyable viewing experience. Your viewers will love you. And your video will be enjoyed the way you intended, no matter which device or browser your viewer chooses. Why Do We Recommend Vimeo PRO? If your videos are of a commercial nature, or if you want to protect your videos, making them available only to a select audience (like a membership site) you’ll want to check out Vimeo PRO. Vimeo PRO is a completely different service than their standard, free offering. It includes priority uploads and conversion, unlimited bandwidth, advanced statistics on your videos, and more. Best of all, you can specify the domain(s) on which your video may be embedded. This ensures your video only appears on your own website. Today, I export my final video file just one time as a 720p MP4 file (H.264 AAC format), with a streaming rate of at least 5,000 kbps… the ideal format for Vimeo. I upload it to Vimeo PRO, paste the URL into my WordPress post, and walk away. They convert the video into all the formats necessary, and their HTML5 embedded player works great across all devices. Their CDN keeps up with streaming video even better than Amazon S3, and the videos look and sound as I intended in all instances. For those of you who run membership sites, you’ll appreciate that you can choose to hide your videos from the public, and then specify a single domain (your own site) on which the videos can be embedded, which gives you an added level of protection against piracy. Don’t host your own videos. Let Vimeo PRO handle it for you! Use promo code: EASTER20 to save 20% on an annual subscription to Vimeo Plus, PRO, Business, or Premium. Ends 4/30! Here is how I read this…. you own the material but you grant us the right to do whatever we want with it. Maybe I am being too paranoid, but that makes me very nervous. So, do you think this is an issue? Am I reading too much into this? Thanks ahead for your reply. Thanks for weighing in, Jim. You raise a controversial topic, and an important one for folks to consider. BTW, this is yet another reason why I tend to avoid YouTube, and prefer Vimeo PRO. I feel safer knowing that my videos are at least hidden from Vimeo’s public directory. As I understand copyright as it pertains to public video hosting services, they’re primarily interested in being able to deliver on their promise, which is to redistribute your content—the very reason you’re engaging them in the first place. They’re not likely to claim ownership of your video. Still, if you’re uncomfortable with their terms, you’re only left with the option to self-host your videos, along with all the issues outlined above. If you’ve got the server resources (e.g. a dedicated server) and are willing to go through the additional steps I mentioned above to convert and create the multiple files for every video, self-hosting is fine. But that’s not the majority of folks, especially not folks who are just starting out. Thanks again for raising this important consideration. Shawn, thanks for the nice article. You sort of left folks hanging with what to do for member sites. I use S3FlowShield and it works just fine with their FlowPlayer that’s also included. And I store on AS3. No problems, no theft. For everything outside the member site, it’s YouTube for me. It’s a super lead generator for me. And now with G+ uploading Hangouts on Air straight there, it’s good to have everything in one place. I thought I was pretty clear that Vimeo PRO is my recommendation for any site, membership or not. I use Vimeo PRO on this site, which is a membership site. S3FlowShield is the script that I linked to in the section about piracy, so I’m happy to hear that you arrived at the same solution for your own site. I used it before the author upgraded it to support HTML5 video; it only supported Flash at that time, which didn’t work on iOS devices. As you mentioned, it had FlowPlayer bundled with it, but it was a badly out-of-date version—about a year behind, in fact—and I found the developer to be very unresponsive to support questions. That’s why I was thrilled when Vimeo launched their PRO level service for commercial video. I still maintain that the combination of S3FlowShield and Amazon S3 is overly complicated and will prove quite challenging for folks who are new to WordPress and web publishing. Too many moving parts to configure. Just learning Amazon S3’s proprietary nomenclature (seriously, how are “buckets” intuitive? ), plus configuring correct permissions for uploaded files in order to serve them over the web can be daunting for a beginner. Do you lose any type of “ownership” rights by hosting the video on Vimeo, etc? No. You retain ownership rights to content you create. Note the key area… “for the purpose of…” which specifically limits their use of your video to distributing your video, which is in fact what you’re engaging them to do. If you trying to create longterm SEO for your site would there be benefit of having the video crawled within your site opposed to YouTube or Vimeo? Then use amazon s3 with cloudfront to deliver it the video so it doesn’t choke. Actually, using the method I recommend (uploading your video to a 3rd party host, then embedding it on your own site) can offer you the best of both worlds. Some folks will find your video by searching directly on YouTube, or Vimeo. If you include links back to your site in the text description of your video, you may get some traffic from that. Video cannot be “crawled” or indexed by a search engine like text. So search engines don’t index the actual content of your video no matter what; whether it’s hosted on S3 or YouTube is irrelevant. And if you’re hosting your video on S3 with CloudFront, you’ll still be embedding the video on your site, which is no different—from an SEO perspective—as embedding a video from YouTube or Vimeo. OK…let’s break down the SEO Benefits of the various platforms. Firstly, I will state, there is no SEO benefit of having video on your page, you will not appear higher in the search results for your keywords. However, due to universal search and Google putting video results in the search results, here is where your in is, your videos appearing in the Google search results. 1. Hosting your video on Youtube, will send traffic to Youtube, not to your website. People do not go to youtube to watch product videos, or learn about your company, or buy things, they go to be entertained. Traffic coming from youtube to your site will always be quite small as there are far too many distractions and related pieces of content, this is the same for vimeo. 2. Either self hosting, or using a premium hosting platform such as Vimeo Pro or Wistia is ALWAYS a better idea for video SEO. 3. Video can be crawled, you just need to make sure you have a transcript of the video available, or even a subtitle file attached to the video. 4. Using video schema around your embeds (or in your video sitemap) allows Google to understand what the video is about, which will lead to your video appearing in Google’s search results for related searches to YOUR website…not youtube. This is the very important part! This means that traffic will come to your website where they become part of your conversion funnel. You can use video schema around any embed code including the youtube one, however when you do it with youtube, Google will usually index the youtube video, not your site. 5. Offering embeds of your video (if you self host the video) will allow you to increase incoming links to your website, not Youtube as other websites embed your video, or link to it, this will have a positive effect on the old fashioned SEO as well as increasing referrer traffic. which goes through all the options and outlines the advantages and disadvantages of each platform. Thanks for weighing in, Jim, and for your recommendations. I think we’re both recommending the same strategy… use a 3rd party host for your video, then embed it on your site. If you read the comments below, you’ll see that I also recommend the excellent Video SEO for WP plugin by Joost de Valk, which includes full support for schema.org videoObject markup. Video cannot be crawled, but a transcript can. Another reason I suggest embedding video on your own site is so that the TEXT of your page can be indexed, and you’ll receive SEO benefit. I sell products to overseas markets,so I upload many product videos in Youtube,Vimeo,etc.Then the result is: Many traffic is driven into Youtube,Vimeo,when they finish viewing the video,they close the webpage,not turning into my website and shop.How should I solve the problem? BTW,do you have any Powerful Free Video Editor to recommend? I would recommend including narration at the end of your videos that invites folks to visit your website for more information. Vimeo also allows you to include a URL at the end of the video, which will encourage folks to click through to your site. But ultimately, this is one of the trade-offs to listing your videos on a public video sharing site. Folks may watch your video and not ever take action. For this reason, I actually hide my videos from Vimeo’s public listing, and only make my videos available on my own site. What do you think about the SEO implications for video content hosted on Vimeo (as opposed to Vzaar, Brightcove, Wistia etc. which always ensure your site gets the SEO points)? Does Vimeo Pro enable better control over SEO for video content than Plus? How does Vimeo compare for SEO to the other (more expensive) options mentioned? All the video hosting sites you listed work in exactly the same way. They furnish you with a tiny piece of code that is then substituted with a video player that is served by the hosting service. As such, there is no inherent SEO benefit to any one service over the other. However, I can highly recommend the excellent Video SEO for WP plugin by Joost de Valk. This plugin ensures that your pages are indexed as video results, so they catch the attention of the searcher more, rank better, and get you more visitors! Best info yet from my researching this subject, great job!! I use a membership site (with wishlist), so they have to be a member to see my training videos (except for promo videos I use on youtube), and I plan on using Vimeo Pro going forward but I’m confused……. Thanks for your time and again…GREAT JOB!! You’re right. If you are serving protected videos to your members, SEO is obviously not a part of the strategy. You can’t hide member-only content AND have it indexed by search engines. On this site, the videos themselves are protected, which means search engines cannot index them. But the text is open for anyone, including search engines… so we still get some SEO benefit while still protecting our videos themselves. Hello and thank you for sharing your great advice on this page. I am currently working on an idea through which I wish to display educational videos only after users pay a flat fee to view them (vs. paying for a membership). This means that I will need to consider a medium where my videos will not be shareable with any other site and perhaps accessed via a one-time password-generating solution to avoid piracy and make this whole idea work. In your opinion and experience, what would be the most effective way to accomplish something like this? Thank you so much for your time crafting a response. As I outlined above, Vimeo PRO is an excellent solution for this. It is, in fact, how I make videos available on this site. Vimeo PRO’s settings enable you to limit embeds to a single domain, which provides a decent level of security, since the videos cannot be embedded on any other site, other than the one(s) you specify. You’ll also want to use a membership plugin like MemberPress, MemberMouse, Paid Memberships Pro, or Restrict Content Pro to handle user registration, purchases, and hiding content from folks who aren’t subscribed. Hi Shawn, my friend and I are working on a site that would sell indie films – most of it not our own work (it would be sold with permission however), but we are exploring On Demand and Streaming avenues now as opposed to just the hard copies. My experience with Vimeo in the past is that it must be your own work. Is Vimeo Pro more relaxed on that? This is new territory for me so I am trying to learn all I can and find a solution that will fit us best for our size and budget. Thanks in advance! If your site will be selling video files, I would think you’d be better served by building your own delivery platform, perhaps using SublimeVideo Player to show the videos on your site, and then some proprietary purchase/download system. Great article, Shawn. I’ll definitely check out Vimeo PRO. I just had one question, what mic do you use when recording video? I use the excellent AT2020USB+ mic from Audio-Technica. When I first began recording screencasts, I started with the Blue Snowball, and later upgraded to the Yeti by Blue. When it was time to upgrade once again, I purchased and tested 6 of the top USB microphones on the market and the AT2020USB+ had a slight edge over the Yeti. Listen to the test for yourself here. Shawn, It was wonderful while reading this article on your experience with video hosting. I have one question please, Can I protect videos from downloading with IDM or any other plugins. I just want videos to be streamed on the browsers. As I am starting membership site. I think, Vimeo pro don’t support protection against video downloading. I am looking for concrete solution for that. Once, I have seen a membership site.they banned the user who try to download their videos other than streaming.How come they know that. They were hosting videos on kajabi. I am looking for some concrete solutions for that, as I don’t want my hard-worked videos sailing on piratebay. I will really appreciate for your kind response! We actually use Vimeo PRO on this site, as it does protect videos from downloading. Further, you can choose to hide your videos from Vimeo’s public directory, and specify a single domain (your own site) on which your video can be embedded. When my videos were hosted on Amazon S3, I used the S3FlowShield plugin to protect them from downloading. But Vimeo PRO is a much simpler solution, for all the reasons I outlined above. Thank you for the very educational article you wrote on “10 Reasons Why…”. It was a very helpful article for me who is not an IT person. We’re starting an iptv channel and we are using equipment (server & software) from an IPTV equipment supplier. Since we are streaming live TV broadcast, as well as, time shifted broadcast thru our website, will the Vimeo Pro service be applicable to what we’re doing. I plan to use a subscription based membership to a niche market and initially targeting the US. We are presently doing test streaming and are having problem with iOS device users’ ability to watch our stream. From the discussions/questions that have been fielded ( which I have read), I cannot help but write in to ask you about the above mentioned possibility of us using Vimeo Pro for our needs. Looking forward to your comments and advice. Vimeo PRO does not support live video streaming, so I don’t think it would be the best solution for what you’re trying to do. As I’m sure you’ve already discovered, there are a number of live video streaming services like Ustream, Justin.tv, or Livestream, to name just a few. These services also provide embedded players, which means you can simply copy the code they furnish to you, then paste that into a page on your own site to provide the live stream directly on your site. Add a membership plugin to your site, and you can effectively protect that live video content for just your members. You’ll have to test the players to verify playback in iOS devices, but I’d be surprised if these top-rated services didn’t work across modern devices and browsers. Hi, thanks for a great read, lots of food for thought here. You need to agree that it is hard to “avoid” YouTube, specially if you are looking to bringing more traffic to your website. It’s perhaps something to take into account in the case of beginners? Thanks for your input! Thanks for dropping by! YouTube is the largest video host, and the second go-to resource for search, which is why I mentioned it above (see my point #10). As you said, it’s a great source of traffic. However, if you run a membership site like this one, Vimeo PRO is a much better platform, because unlike YouTube, they enable you to hide your hosted videos from their public directory (something YouTube does not offer), and further specify a single domain (your own site) on which the videos can be embedded, which gives you an added level of protection against piracy. But if you do NOT need to protect your videos, and you’re top priority is getting “eyeballs,” I highly recommend YouTube. All this talk of Vimeo Pro, and S3 and Youtube, Have you used wistia? Any comparisons between wistia and Vimeo Pro. Would love to know which one is better value for money, based on the volumes your talking about with this site. (Just like other users I have a membership site and would like to make videos as secure as possible). I used Wistia in their early days. They are a solid video hosting platform as well, especially for commercial video. But, as this article was not intended as a comparison review of video hosts, I did not go into depth about all the video hosting platforms out there. One drawback to Wistia for many folks will be their monthly fees… from $25 to $300 per month, depending on the number of videos and amount of bandwidth you plan to use. Compare that to Vimeo PRO at $199/year, and it’s easy to see which one is the better value for the money. Thanks Shawn, for your feedback. Yeah I realized it was not a comparison review, but definitely wanted to know your opinion, and your answer is great, thanks, keep up the great writing love it. I confess to not having read the entire comments. Have just signed up to Vimeo Plus having read this article. Amazon S3 configuration: you pay according to the views. Vimeo: You pay a flat annual rate. It seems to me that Vimeo is cheaper than Amazon S3 if you have plenty of videos. Or does one pay per views with Vimeo too? That’s correct, Shelley. Vimeo PRO is a flat, annual rate, which includes unlimited embedded plays. But Amazon S3 is ridiculously inexpensive. Depending on the size of your video files, you may find it costs less. That says nothing about the fact you’ll need to generate multiple versions of every video, and the other items I mentioned above. For my money, Vimeo PRO is the best value for the money, and peace of mind! Thanks for your good advice and the explanation how things are working. However there is a question left. I have the copyrights for the video but not for the music in it, only the license to play it on my website. What is the best third party to use? Vimeo Pro is rather expensive regarding the fact that it is only one video to be hosted. I am using Amazon S3 with CloudFront… and was using OptimizePress with FlowPlayer..
And my mp4 played in all 5 browsers but was super slow in Opera and Safari. I tried the Video for Everyone approach and many people couldn’t see the video at all (and I even had OGG and WebM versions). Vimeo Pro saved the day.. and now I don’t have to have the little FlowPlayer logo anymore. Best article I read all day. Sounds like you’ve run into the very reasons why I recommend using a 3rd-party hosting service. Yes, you can choose to hide the Vimeo logo from your videos. It’s in the Settings panel. Hope this helps! Your article has saved me hours of research & possibly lots of future mishap. I am really, really grateful to you. Yes, I recommend Shawn’s view here as I learnt myself, the hard way. I previously hosted videos on my site (shared hosting) which had unlimited bandwidth and unlimited web space but because I hosted videos on my site it used up lots of bandwidth and ultimately my site was facing downtime. Now I’m using Vimeo and have overcome the issue completely. I uploaded a professional video to my website through you tube and everything is going fine except for the tiles that appear at the end of the video showing all sorts of other junk. Can I adjust the settings to prevent this or to show my video on a loop. Would Vimeo Pro still your recommendation for a high traffic website (2mm Visits/ Month) with with videos in Auto play? Sorry, but I can’t really advise you on membership plugins for pay-per-view access. You might check out my friend, Chris Lema’s excellent comparison of the most popular membership plugins. Something overlooked here is the fact that Youtube and Vimeo are blocked… our school services government departments which block these services so a local version is the only safe solution. I’d also like to know what the author has to say about this topic. The higher up people in the company I work for kind of forced us to use YouTube, but as it turns out (since we do a lot of B2B) a lot of our customers have YouTube blocked. Is there a way to get around that? If not what is the best alternative? Lots of great, helpful information on here, particularly for a tech dunce like myself and I’d really appreciate some advice from those much better qualified than myself. I create short video help file clips to embed in our website’s Help section. I use Screen Cast O Matic to do this which works great for us. The clips are basic sreenshots with how to text bubbles and none are much longer than 2 or 3 minutes, and several, much less. Because our site is subscription only, we needed private hosting with the ability to use an embed code on the actual help page and I did a bit of research and chose VimeoPRO. Our clips look great on there and when the link is sent via email to clients. We run into problems when we try to embed in our own site. Screen Cast O Matic only provides recording in 10 or 15 fps. They do have a setting for “Highest Possible FPS” (which is what I use) but so far no one there has been able to tell me what that number actually is. Vimeo PRO say they want a fps of 24, 25 or 30 with a bitrate of around 2000 – 5000 for best results. My clips are way less than this, around 700 bitrate or so, although they are still converted and display great on the Vimeo site. SOM tell me that it is an issue with Vimeo PRO and although the clips display clearly and run smoothly on our site, they very often play without sound. I’d really like some advice about whether my recording or hosting is the problem or if there are other recording or hosting sites you recommend that work better together. Please limit the tech speak as I am an idiot. Fingers crossed you guys can help me! I have no direct experience with Screencast-O-Matic, but if it only supports recording at 10-15 fps, I’d recommend upgrading your tools. Thanks for the article, for a Vimeo advertisement it’s pretty good, although a more balanced article that talked about various providers and the benefits of each would be helpful. Sorry you felt my article was just an advertisement for Vimeo. I assure you, while I strongly recommend Vimeo PRO for this particular application (WordPress users who would like to embed videos on their WordPress sites), I’m not affiliated with Vimeo in any way. i have no idea at all what everybody talked about here, i mean i know the subject, i just don’t understand about the detail that they talking about, sorry..really beginner..
so, long short story.. i want to build website, which allow the member of my site to upload video to share to anybody who come to my website, but after i read this, it makes me confuse, how to use third party? do i have to become the third party member? and how about the legal right? I saw a lot of website who have video in it, and when i click the video, it play from YouTube/Vimeo only it played in their website,the questions is, are they have like working together or some cooperate with YouTubeVimeo or not? do they have to pay to YouTube/Vimeo or ask some legal permit from them? are they legal to post video from YouTube/Vimeo even is not their video but from other YouTube/Vimeo member? Because my website is free, i want everybody can watch videos or read and write in the forum or see the pictures, but do not rule out the possibility that there will be people or companies who advertise on my website, and that is mean there is money involve here. I just want to make sure about the legal right about the video or picture from third party that they post it on my site. Wish you can help me on this, thank you. If you’re planning to build a site that will enable folks to upload their own videos, you’ll want to partner with a team who can help you build this properly, and navigate the legal issues as well. This is far beyond the scope of this site or this article. You will definitely want to get the terms and conditions right, since you’re potentially dealing with tricky copyright issues. And I would NOT recommend Vimeo PRO to power a video hosting site like you’re describing. You’ll need to hire a team of developers who can build this right, using a reliable CDN (like Amazon S3) to deliver your videos. It sounds like you want to build your own mini-YouTube, so just consider the scale of that challenge as you move forward. There is no limit to the number of videos you can have on a site. Just follow my recommendation above and you’ll be fine. I am trying to create a site that gets feeds from youtube and other video site such as vimeo. Whats the best way to get feeds from a category such as latest music for example. Honestly, I can’t tell you, since I’ve never attempted to pull a video feed into a site from YouTube. No idea how you might go about that. Maybe someone else will chime in here? Hi thanks for the article, one q, do you think that when you have a membership site like this one it is necessary to have a dedicated host?, I´m thinking about making my site a membership site but whit the vimeo pro and the dedicated hosting the prices go up a lot, like 1.000 US per year and at the moment thats a lot of money for me. No, I don’t think it’s necessary to have a dedicated host for your site — provided you use the method I’ve recommended here of merely embedding video on your site, rather than actually uploading it to your web server. 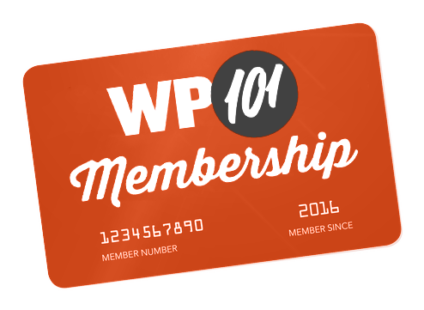 Assuming you’re running a WordPress-powered site, I highly recommend a managed WordPress host like WP Engine. Otherwise, any shared host should be more than able to handle the delivery of your site’s pages. You look very expertise about videos and that’s a point that I’m having a lot of headaches… I have a problem, and I would like to know your opinion. I work in a school and I’m the administrator of the kindergarten wordpress blog. We have 360 kids from 2 y.o. to 5 y.o. The parents are very happy because we show them pictures about their children doing things at school, and they trust in us because other people can’t see the pictures because if you want to see anything, any content of a page you have to know the password. But the problems is when you want to put a video on a page or a post. As you said you have to post the video in some formats for mobile devices, android, Mac, …Also the quality of the video is not very good because you can’t upload a big file… So I don’t know if vimeo pro is my solution. Also I’ve found a wordpress pluging called jetpack which offers to upload your videos to a wordpress cloud. But I don’t know if it’s sure and other people who are using this service can find this videos too. I’m worried about this video thing because I’m working with little children and I have to take care of them and their families. ¨But in the other hand, video is great to show parents a lot of things and when you post a video the visits increase a lot and we can take more educational profit for the blog and also make it a tool to communicate parents and school. If someone does a right-click on an embedded video they can see the URL for that video and play it outside the web site. Vimeo has an option to hide a video from Vimeo.com. Does this option keep people from doing that? I looked on Vimeos forums for answers and some user said it didn’t work for him. The Vimeo support person never seemed to understand what this user was saying. Their documentation doesn’t explain exactly what it does. I tried to email Vimeo but have not received any response. What is the best way to get a response from them? I’m looking at iplayerhd. Their documentation says they have a secret password to keep the video from being played even if somebody copies the url from the embed source code. That sounds good except it wasn’t available to set up and I am waiting on tech support to answer my email questions. Another thing iplayerhd said is that players by default cache the video through the browser and the video can be taken that way. Their answer was to set the video to stream only. Does Vimeo handle both these situations? I think I’ve suggested this several times in the article and in the comments, but yes, Vimeo PRO enables you to not only hide the video from their public listing on Vimeo.com, but also restrict embeds to a specific domain (your own), which will prevent folks from embedding your videos on their own sites. This is the method we use on this very site to protect our videos for our members. But WordPress also makes it a breeze to password protect the actual page or post on which your video appears, which adds yet another level of protection. Great article! My client has music lessons she wants to charge for. Seems like protecting them with Vimeo Pro is the perfect solution. She wants to offer the lessons individually in her store, and doesn’t sell memberships. Is there a way to have a student purchase the lesson and then receive a code, or url to the video on Vimeo Pro? Just curious as this seems to make the most sense for her. Thanks again, and I’ll be checking out the rest of your site. Good advice on not trying to serve videos yourself. We’ve been using VimeoPro for about two years, and VimeoPlus before that. Having a player being cross platform solves a lot of headaches. Also being able to lock down embedding is key. We went Vimeo rather than YouTube because we could completely eliminate the Vimeo brand while with YouTube we could only minimize it. But, as Vimeo has become more successful, their performance for uploading and compressing has become much flakier. Where once you could see your upload starting to convert a few seconds after upload, now it can be delayed by minutes, and sometimes hours or completely failing. So for us, Vimeo works great for uploading infrequently, but if you do multiple uploads and replacing files it really has been bogging down. “There are certain types of commercial content we never allow. Also planning to have affiliates and referral marketing included for selling the program. Now, my concern is – If I do use Vimeo to host this, I don’t want to end up losing my account and all the pain taken in building this up and suddenly one fine day videos not available and all I get to hear is that your account has been closed …. Referring above to my requirements, do you have an insight to whether I can use Vimeo or not and if not what other options do I have. Currently, its only a single program ( A single video of size @ 1.5 GB broken into parts 1,2,3 for easy uploading ) and I don’t plan to create or upload more stuff meaning I do not require more than 2 GB of storage – however viewership will be massive and hence bandwidth should be unlimited. I would not advise going up against Vimeo’s TOS. If your content is found to be in violation of their terms, it will be removed and your account access revoked. For what you’ve described above, you might look at Wistia or consider hosting the video files on Amazon S3, then using a player like SumblimeVideo to play the videos on your site. I would also recommend optimizing your videos using a tool like Handbrake, because a 1.5 GB video file seems inordinate. Actually, I don’t recommend doing this with images. It will actually take longer to load images off a 3rd party site than from your own site. And, you can cache local images to speed up loading even further. There are plugins that enable you to pull in images from photo sharing sites like Flickr into your WordPress site, but I wouldn’t recommend using those for images in posts and pages. 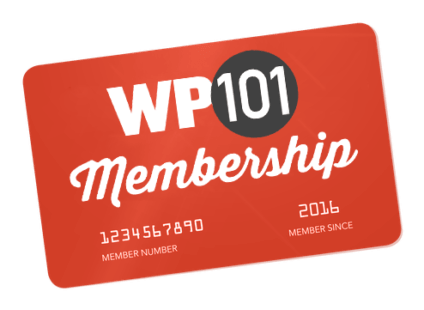 What softwares do you use to create your wp101 videos? Do you upload your videos in 720p or 1080p for wp101? Thank you so much for this article. I have most of our videos hosted on my server which was a pretty steep learning curve to climb as a total web novice. I can now argue intelligently with my boss as to why we should use Vimeo Pro (something I wanted to do from the beginning due to the ease of use compared to figuring out code and multiple formatting etc. Again, thank you for this marvelous piece of advice. Great article! I’ve been using Vimeo for several years and have a question for you. I create password protected pages on my site for my students to access lesson materials. Some of the pages include videos that are hosted on Vimeo and set to be viewable and embeded only from my site. I also upload these videos to my web host via ftp and create a link that allows my students to download the video if they so choose. Is there a better way to do this using Vimeo? Hi thank you for this article it has helped my non tech self understand this topic a lot clearer. Felt like a little fish in a big sea for a while there. I am trying to create a “membership” site where the video content I embed will mostly be unique to each individual user who logs into their own “members” page. Is this possible using wp plugins and vimeo pro as you explain here? Thanks for your post, really helps! I would like to know if do you know of a product that supports the security feature of letting the members to login only from one physical computer? (or even 2) I see this as a problem since one user have the password for its membership area.